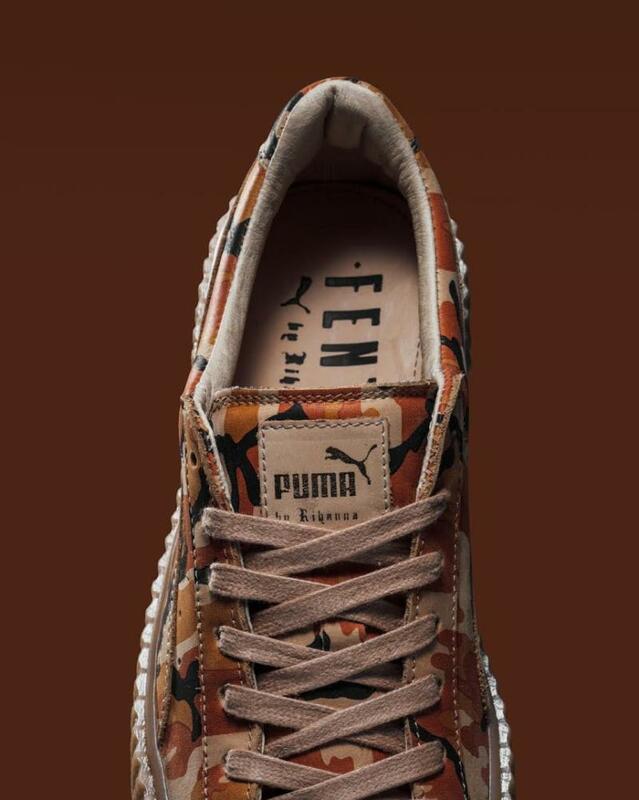 A wild new look for the singer's popular sneakers. 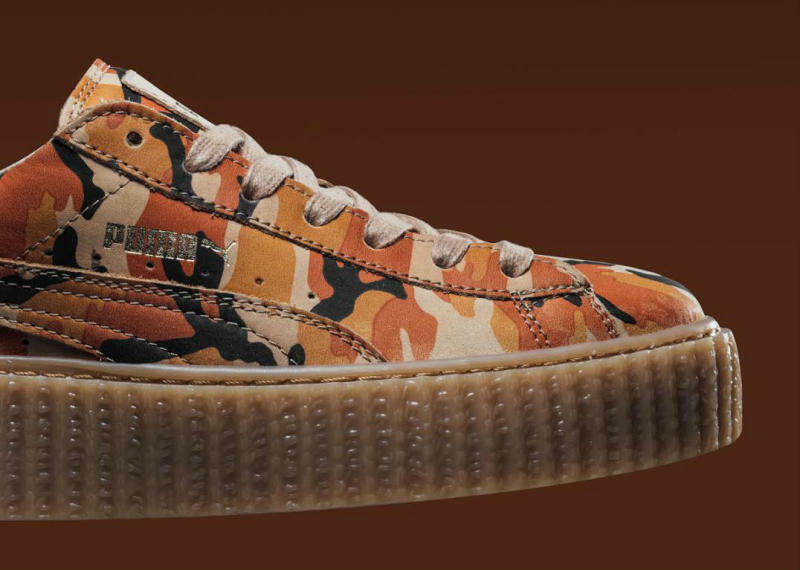 Following six subtle styles, Rihanna's Puma Creepers will next release with full camouflage uppers. Pictured here in detail is one of three on deck, dressed in an orange, black and tan pattern that may be best suited for your fall rotation in a few months. The collaboration is marked in gold foil and a gum rubber sole finishes off the look below. Though Feature hasn't yet announced its release plans, retailers are expecting a Thursday, July 28 launch.